There’s nothing I love more than spending the day on a hiking trail with the people I love most — my family. For years and years, from the time my oldest (now almost 16!) was a teeny tot, we participated in a local parks system’s “hiking spree” where we were challenged to hike 13 of 20 trails in a two-month timeframe. It was a blast, got us outside regularly and for extended periods of time, and gave us something to strive for each fall. And then life got busier. Our outside time didn’t become less important, it just became more difficult to carve out the time to drive to a place to hike. We’re a homeschooling family with four kiddos who are involved in bunches of different activities, and it feels like a lot of our time lately has been spent in the car or decompressing in front of a movie or a screen. I’ve been looking for a way to get us actively — and as a family — back outside on the trails and in the woods on a regular basis. 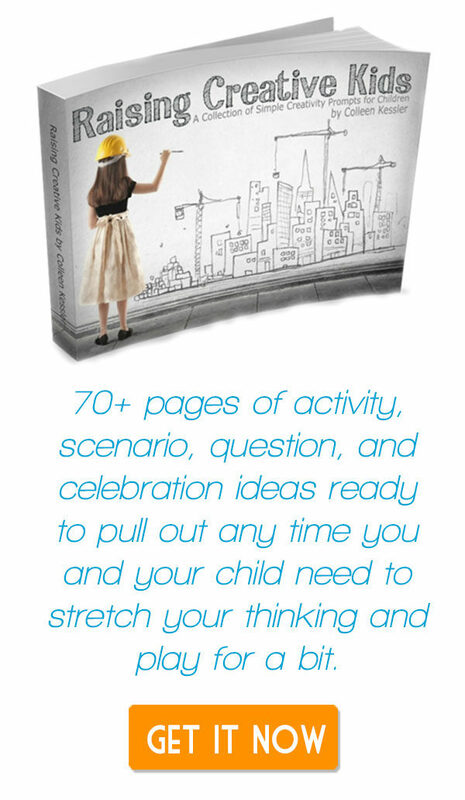 Think Outside Boxes is the answer to that search for our family and I cannot even begin to explain how excited we are to get started with this new addition to our homeschool and family life. 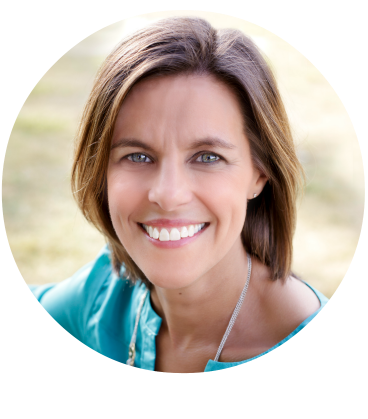 Think Outside Boxes is a year-long program — that we’ll be sharing monthly! — that promotes adventure and survival in the outdoors as family time. 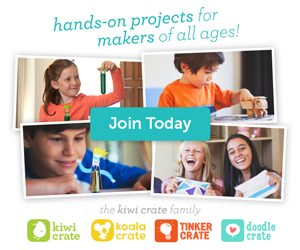 It’s quite amazing, really, and my husband and I are thrilled to be starting this with our kiddos. Here’s how the program works… As a subscription service, families can sunbscribe for a month, a quarter, or a year at a time (and RLL readers can get $10 off their first month by entering the code RLL10 at checkout), though I highly suggest budgeting for the year up front. The program builds upon itself each month, and kids will be growing their own survival pack throughout the year. 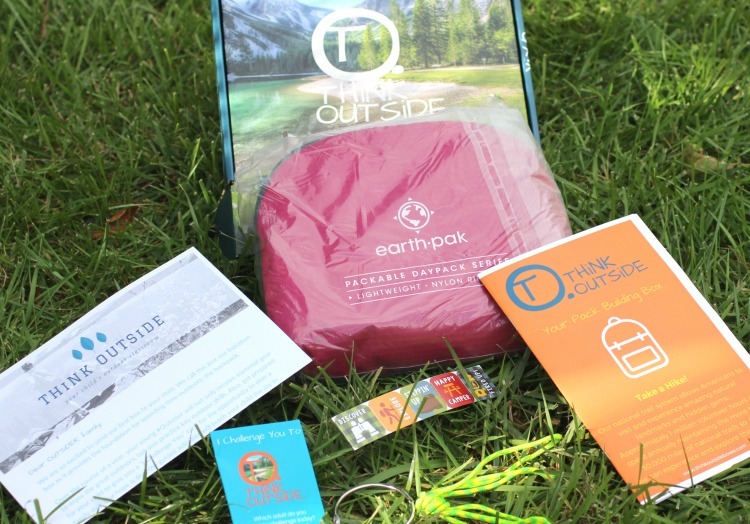 Their first box comes with the basis of their survival pack — a backpack that folds down into its own pocket. 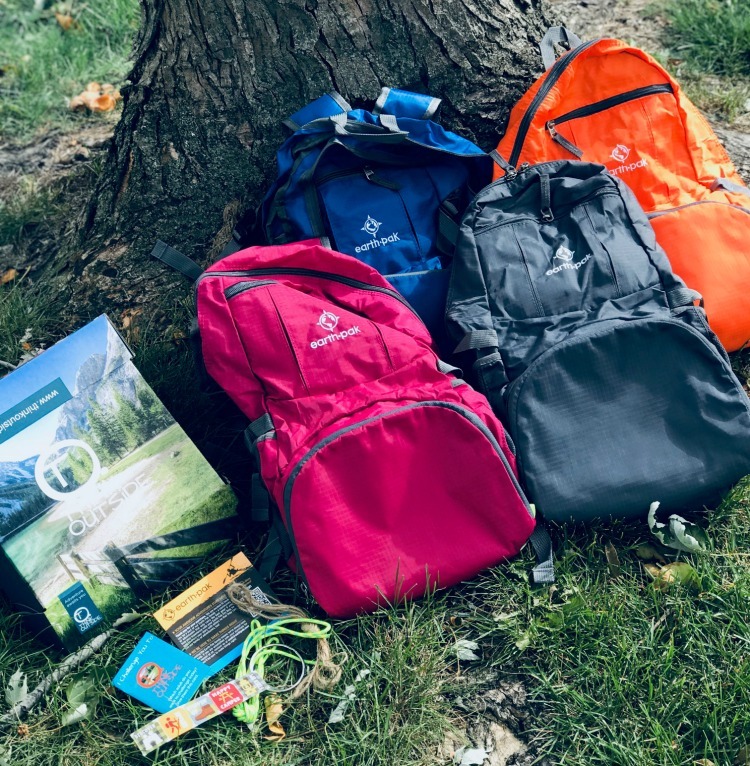 Each box — including that first one — comes with a comprehensive activity guide that leads families through their new gear, lessons like ‘how to pack your bag,’ jokes, games, challenges, puzzles, skills tests, and so much more. 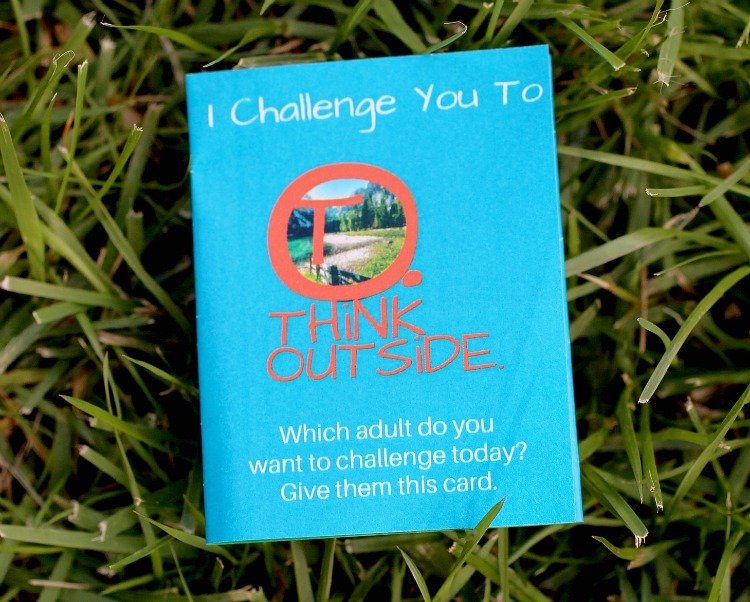 They also include a family challenge designed to get your entire family out and enjoy nature together. This first box encouraged us to go geocaching, something we haven’t done in a long time and all love, so we’re looking forward to treasure-hunting together this week sometime. It’s so nice, honestly, to not have to think about things to do with the kids outside. 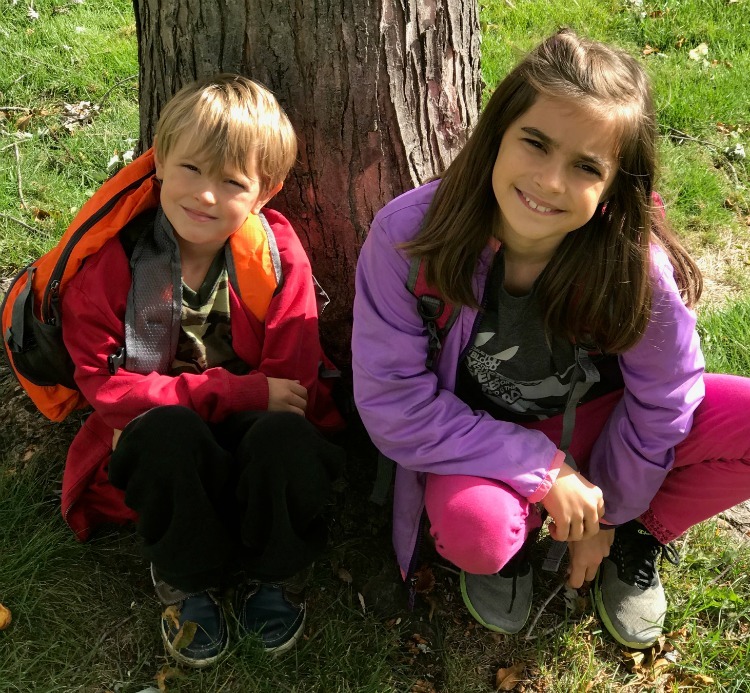 They’re motivated and excited to use their packs, so it’s an easy jump to having them take the reins and “challenge mom and dad” to the task in their boxes. I cannot even get over the amazingness this is going to bring to our homeschool and our family. We are having a blast already. The backpack is great and I actually went and ordered myself a matching one in a fifth color so that we’ll all be outfitted well on the trails. We’ll work through the booklets together in our morning time over the course of a few weeks. A little bit here and a little bit there. For example, with this first box, we spent one morning on the section that broke down Morse code, and then wrote “secret messages” to each other. There are so many fun things we can do with this. My absolute favorite part, though, is near the end of the booklet — the section called, “Empathy.” In this first booklet, the empathy section is about homelessness. It brings kids back to the activity they completed earlier when they made a “bug out bag” filled with the essentials they’d need to survive in case of an emergency. It then asked the kids to think about what the pack would feel like if they had to carry everything they needed in order to survive on their back, then reminded kiddos about the approximately 500,000 homeless individuals that make their life in the United States. It gives them tangible suggestions for how they can help. Spreading kindness and awareness is very important for our family. I love that Think Outside Boxes incorporates this empathy piece. And I can’t wait to share our adventures with you over the next few months. 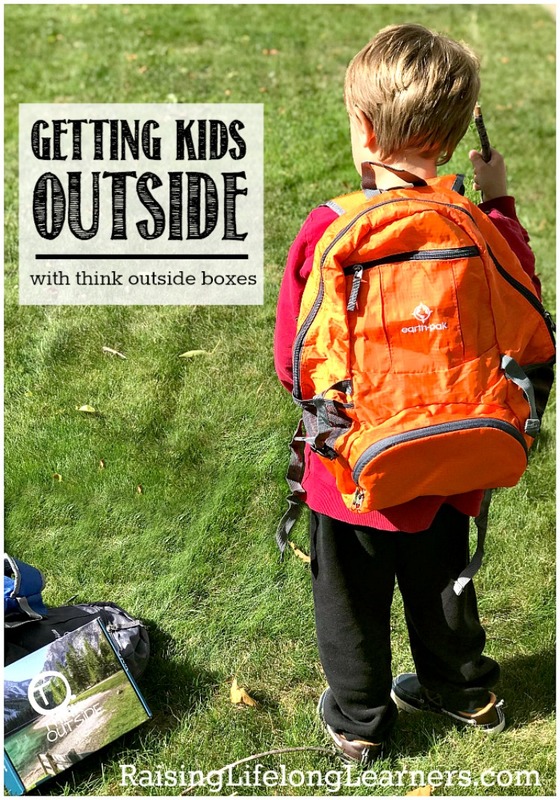 If you’re interested in snagging your own subscription and joining us in the adventure of getting children outside this year, don’t forget that you can use the coupon code RLL10 and get ten dollars off your first month! And if you DO subscribe, share your adventures with us, too, so we can check out what you’re doing. Tag Think Outside Boxes on social media and include #RaisingLifelongLearners too so I can find you easily. 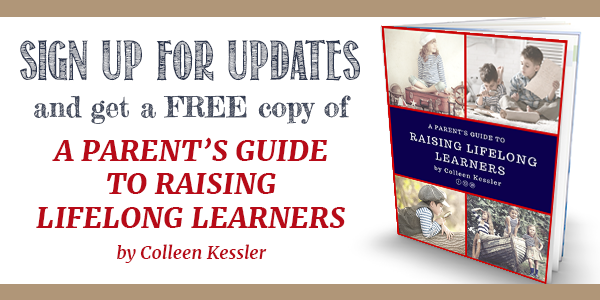 You are always welcome to post on the Raising Lifelong Learners Facebook Page, too. I’d love to see your photos!